OPEN systems: the filming cameras and VMS management platforms offered comply with the ONVIF standard. This is an open system for all products based on network video technology. Scalability and expandability: the management platforms offered potentially support an unlimited number of video cameras, recording servers, users and sites. Multilevel redundancy support: recording of the storage in the camera or on dedicated servers, with duplication with RAID and FAILOVER support; transmission data network with meshed networks and remote control of alarms with several WAN interfaces (FTTH, Satellite, 4G, etc. ); remote control of signals directed towards a central control unit; design of electrical systems with uninterrupted power supply and battery packs which guarantee system operation even in the case of power failure. Support for virtual solutions in order to obtain top performance, availability and efficiency from the infrastructures and applications available. “Active” video surveillance: the solutions offered concerning the video system not only make it possible to monitor and record films, but also use algorithms able to trigger incidents and alerts in accordance with specific customer requirements. The sound has intelligent functions which catch the attention of operators or control the movement of a PTZ on the video camera which generated a special incident. Multi-vector transmission system: the infrastructure and the transmission tools for sending images may vary depending on the Wireless LAN project (WLAN): radio devices in compliance with the HIPERLAN standard (High Performance Radio LAN), cabled infrastructures with Gigabit Ethernet support in compliance with the 802.3z standard (fibre), the 802.3ab standard (copper) and 10 Gigabit Ethernet in compliance with the 10GBASE-LRM and 10GBASE-ER. Management of existing systems and HD revamping in order to keep the camera field already installed. Revamping of systems with high resolution AHD, HD-CVI, HDTVI technology by keeping the existing wiring. Robust network infrastructure: in the case of complex projects with many cameras, OM3-OM4 optical fibre networks with loop network topologies as well as the Ethernet Gigabit standard support or 10 Gigabit Ethernet are offered depending on the requirements. Redundancy and load balancing mechanisms are provided in compliance with the Rapid Spanning Tree (RST) 802.1w. 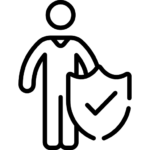 IT safety support: the devices used guarantee protection by means of multilevel passwords, a filter for IP addresses, authentication to connected devices by means of the IEEE 802.1X protocol and authentication support by means of a RADIUS server. Safe web access support takes place by means of the HTTPS protocol. Quality of Service Support (Qos): video cameras and network devices with QoS support are used in order to assign traffic priorities. They make it possible to process critical flows before those data flows which have lower priority. This results in higher reliability and a better control of the band width used by each individual application. Protection of data and power supply against overvoltage. This is one of the most frequent causes of system downtimes and interruption of service. Automatic signaling in real time in the case of access into a particular area, with pop-ups, video confirmation and localization of the relevant point on the map. Reconstructing incidents after they have occurred: the 24 hour recording or the “motion” recording make it possible to reconstruct incidents in the smallest detail thanks to the use of high resolution cameras (FULL-HD and/or 4K) as well as multi-optics cameras. Creation of a safe environment for the personnel accessing the area or living in it: it is possible to control and monitor the observance of procedures and safety regulations as well as the correct use of the tools and devices made available to the staff. Increased process efficiency: remote control of production lines, visual analysis of functions and processes and control of their correct execution. Cost reduction: in many cases it is possible to avoid various types of on-site work by means of a remote connection. Problems may be solved by remote support and simple video patrols may be performed. Perimeter monitoring: by means of algorithms using day/night video cameras and/or thermal cameras. The tracking of persons suspected of offences can take place by means of auto-tracking functions which make it possible to move pivoting video cameras after a person has been detected inside a specific area. Anti-terrorism control: by means of algorithms which make it possible to detect persons suspected of offences or objects which may seem suspect inside specific virtual areas beyond a fixed time limit. Anti-robbery control: by means of algorithms which make it possible to detect removed objects. Public order control: by means of algorithms which make it possible to detect sudden, anomalous speed variations and/or acceleration of specific subjects of interest inside virtual areas, which could result from social unrest or fights. Pedestrian access control: by means of facial biometry systems for accessing high safety areas. Anti-fraud control: by means of skimmer detection algorithms for detecting the smallest contour position change inside an ATM area or persons staying in a certain area beyond a fixed time limit (automated banking ATM areas). Goods control: this guarantees the safety of Terminal Containers in port areas as well as the traceability of goods by automating the loading/unloading process. It speeds up the relevant process and reduces mistakes (in comparison with the present system of copying the container codes manually). 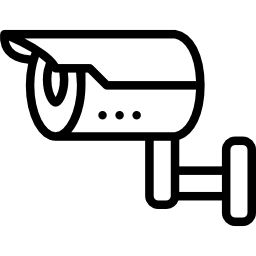 Intelligent video-analytics algorithms for counting and aggregating the number of persons going in and out or the time spent by staff inside certain areas result in very useful indicators for marketing purposes. “Man down” safety: this is guaranteed by algorithms for detecting a person who has fallen on the ground and remains their beyond a fixed time limit. Fire detection: by means of thermal video cameras and video analysis algorithms. Traffic control for parking places: by means of video cameras reading the registration number with OCR functions. Control of the access to limited traffic areas: by means of type approved OCR video cameras provided with the UNI 10772 certification. Speed control: by means of OCR video cameras able to detect and read registration numbers when vehicles are travelling at high speed. Traffic control: by means of algorithms for detecting cars traveling in prohibited directions or vehicles stopping in potentially dangerous areas (for example, on the motorway). Control of vehicles not compliant with the applicable regulations: by means of a software capable of interfacing with any data bank (State Police, “Ania”, Ministry, SCNTT, etc.) in order to signal the transit of vehicles which have been stolen and are subject to administrative immobilization, not insured or not overhauled. Wide overview panoramic cameras make it possible to reduce the number of video cameras installed. Panoramic cameras are very versatile and, depending on the model, can have a 360-degree or a 180° view, a QuadView (simulating four different video cameras) and digital PTZ views (such as with conventional video cameras). Support to thermal technology: these cameras are much better performing than optic video cameras in poorly lit areas. They are ideal to detect persons and objects in a much more continuous manner because shadows, back-lighting, darkness, weather conditions and disguised objects do not represent a problem for them. Support to the so-called Wide Dynamic Range: these cameras are useful for wide lit areas, where differences between lighter and darker parts may exist. Videos are optimized by making all the details both in light and dark areas as visible as possible. Support to the 9:16 or Corridor format: it is possible to obtain a video flow with vertical orientation within several contexts. This is sometimes more suitable for certain areas to be controlled because the quality of images is improved and no band width and storage space are wasted. High sensitivity: the video cameras used are generally very sensitive to light and able to transmit colour images up to 0.15 Lux. Support to Ultra HD resolution: the 4K standard is used to film areas where there is a high concentration of details (squares, stadiums, markets, events, shows, etc.). H265 compression: HEVC/H.265 video compression standard, version 4, for managing high resolution streaming videos and carrying IP data within the network. Filming devices are equipped with a POE power supply in order to make the wiring with devices easier in compliance with the 802.3af Standard. Remote focusing makes it possible for users to manage the most important settings through the computer without manually working on the video camera and to save a lot of time. The Pixel counting function makes it possible to control whether the video camera installed meets the resolution requirements in Pixel. This is useful, for example, for identifying the faces of those who come in or go out through the door being monitored by the video camera or for recognizing the registration number of a vehicle. Recording up to 120 GB in the camera with speed class 10 is possible thanks to the use of SD/SDHC/SDXC cards. API (Application Programmers Interface) supported devices, published, based on open standards are used. These supply the information necessary for integrating functions of third parties’ applications. Devices with mechanical/environmental certifications are used: video cameras with an IP66-IP67 and NEMA 4X protection degree as well as vandal-proof housings and an IK10 shock resistance are offered, because they are very often installed outside and therefore exposed to possible bad weather conditions. Automatic real-time notifications in the event of access to an area, with pop-up and video confirmation and location of the point of interest within the map.